I usually am not a collection girl. I wait when collections of polishes come out to see the reviews and pick and choose a few favorites from said collections. However, when I stumbled upon the new winter 2012 collection from Essie in the store last week I couldn't help but buy ALL of them. I don't know what came over me. So here for your viewing pleasure are all six shades of the collection! We'll start of with She's Pampered. Next up is Butler Please. Butler Please has a shade of blue that is simply and absolutely gorgeous! I was worried at first because the first coat went on a little streaky but the second coat gave it a lush, deep, cobalt blue that was even and covered the nail perfectly. 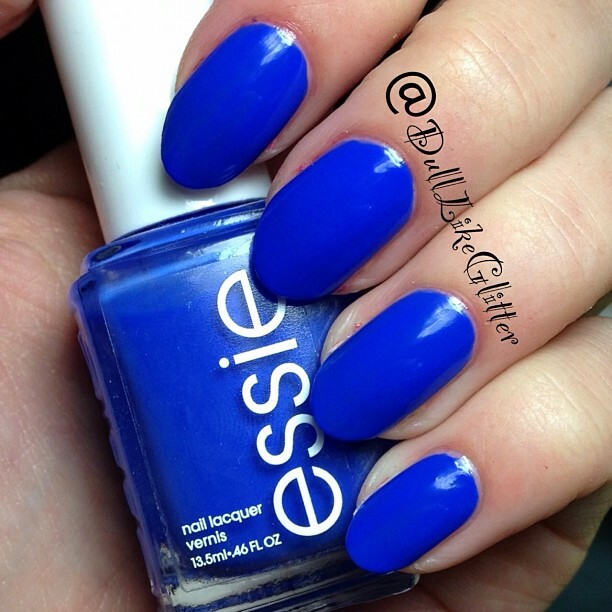 In bright light you get this vivid blue as photographed and in false lighting or shade you get a deeper, robust blue. I am very excited with this shade! I've gone a little bit gaga for it. There are two glitters in this collection, each very different. This is Beyond Cozy. Beyond Cozy brings to mind the sparks off of a warm, crackling winter fire. 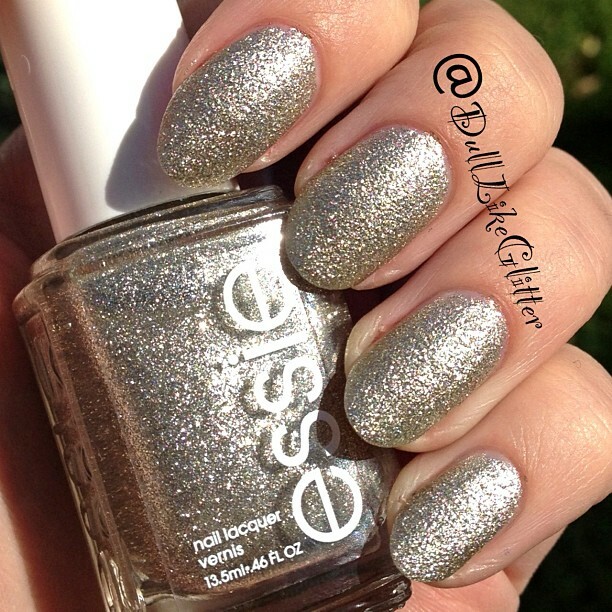 It is a full coverage glitter, shown is two coats. The glitter is a champagne colored metallic that is very multidimensional. Finished it has a sandy texture. This shade reminds me of China Glaze I'm Not Lion from the Safari Collection but actually has lighter undertones and more metallic to it than China Glaze so they do differ. This would be a perfect new years polish or great any time of year for that mani that needs a glittery accent nail. Time to get a bit out of season with Snap Happy. I really enjoy this color. It is a bright creme coral or salmon. It has pink as well as orange tones to it. 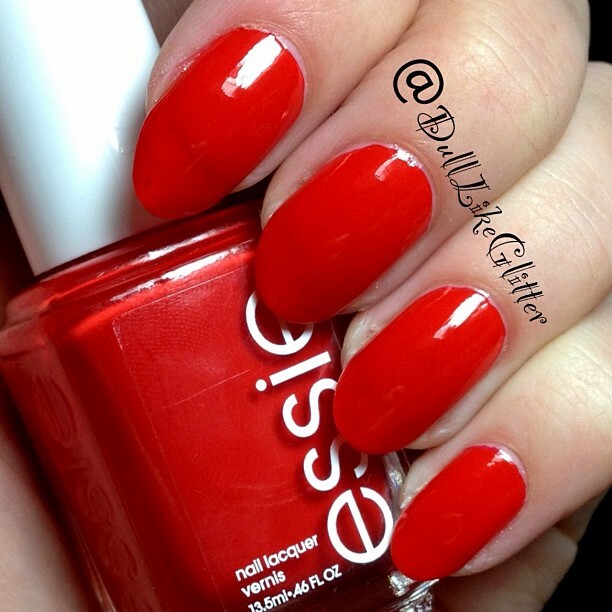 Snap Happy is slightly sheer with two coats and you can see a light visible nail line. Application was wonderful! I would have loved to sport this in the summer but I can't see myself reaching for this as my first shade choice this winter. It just doesn't say winter is in the air to me! Now for Where's My Chauffeur. I was very excited about this color! It is a gorgeous turquoise, tiffany's blue shade that is one of those colors that just looks amazing on everyones skin tone. It is slightly sheer, the first coat went on streaky and with three coats I would have gotten full coverage but I wasn't quite there with only two. Amazing shade regardless and definitely a nice icy color for the season. Finally is Leading Lady, the second glitter in the collection. 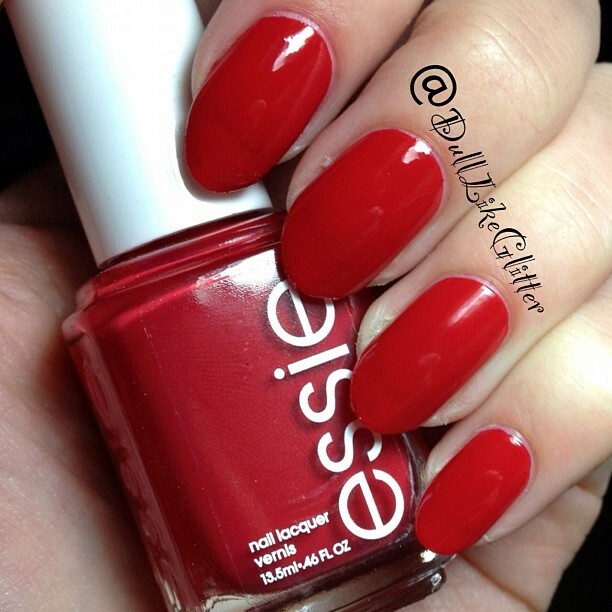 This color just has the holidays written all over it! 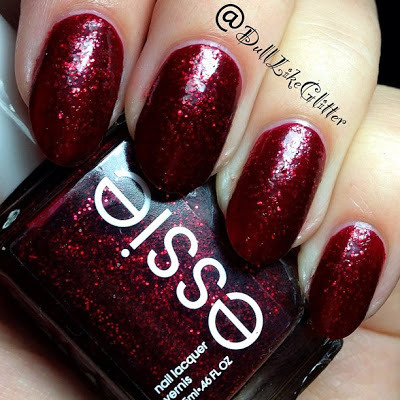 Leading Lady is a deep jelly, cranberry base with bright red glitter winking through. Coverage was great and it really sparkles and shines! I'll upload some sunshine shots and macros tomorrow to really show it off because you are not getting the full glitter effect here. Out of the entire collection I would say you must pick up Leading Lady, Butler Please and Beyond Cozy. She's Pampered and Where's My Chauffeur are great Essie colors as well but I have seen a few other colors like them around and about. Snap Happy would be a great color for other seasons but I just can't see many sales of this color for the winter season. Great job on this collection Essie! Beautiful swatches! I can't decide which blue I love more- they're both amazing!